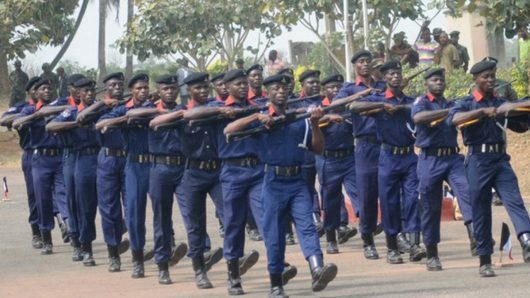 The FCT Command of the Nigeria Security and Civil Defence Corps (NSCDC) has deployed 3,500 personnel to strategic places in Abuja, the nation’s capital city, to beef up security during the period. In particular, NSCDC personnel were deployed to places like recreation parks, worship centres and major road interchanges amongst others. According to the FCT Commandant, Patrick Ukpan, the need to heighten security this festive period cannot be over emphasized, hence the Corps has increased its patrols and surveillance to provide reinforced protection across the city. He said the Armed Squad and Disaster Management units are also on their heel, ready to provide extra protection as well as respond aptly to emergencies as soon as there is need for it. He therefore urged the residents not to over indulge in social activities, but rather be vigilant and to cooperate with sister security agents, providing them with necessary information as much as possible. He added that residents should be reporting every unusual and suspected act or individual to the nearest security post. While wishing residents particularly Muslim faithful a joyous celebration, notified them of the relocation of its command headquarters from Gudu district to Wuse Zone 5, Abuja.